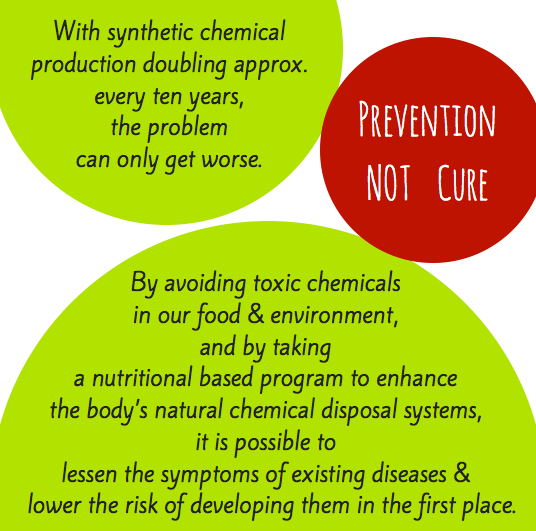 …I was doing the corporate thing, had a cancer adventure, and when I looked at ways I could reduce my risk of cancer recurrence I made the link between toxic chemicals and many health issues, such as cancer. Three years down the track…Yr 1 ‘Does the business have legs? ; Yr 2 was all about WWW (still working on it) ; Yr 3 we started gathering the troops, working with ambassadors/advisors, running educational events, hosting regional meet ups, building digital presence & trying to keep my head above water!! As the fun continues, we invite you to play with the gang! 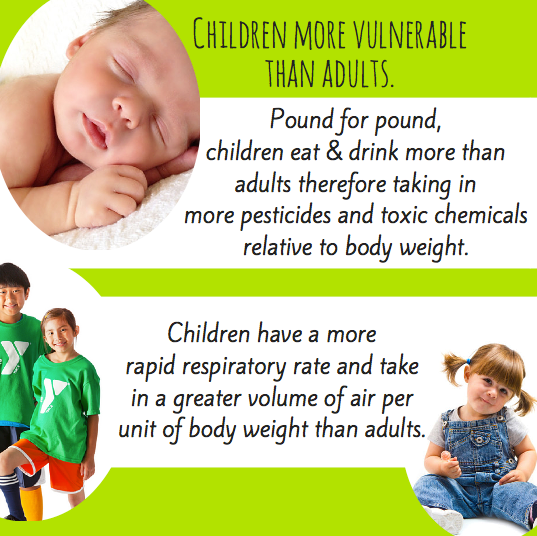 Why the focus on toxic chemicals? 'Chemical Free State of Mind'! 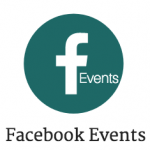 Not just the ChemFreeCom FB events, we’re collating all our members FB events so you have them all in the one location. 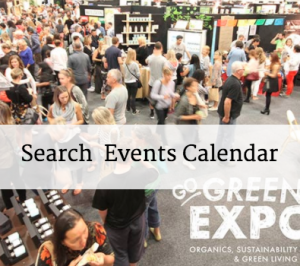 DIY workshops, seminars, movie nights anything that educates and celebrates a life if less toxic chemicals. 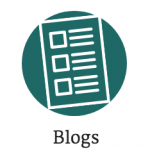 Browse our blogs that brag about our members’ products and services, our ambassadors & advisors passionate work and blogs that inform, educate and increase awareness of about living in a chemical free state of mind where every product we buy and services we use is the least toxic option. 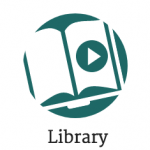 Resources that are so informative we just have to share them with you, Videos & Audios and Books for your reference and enjoyment. APPS and other resourcesthat can help with your Chemical Free transition. While we have used many of these resources, we are not in a position to endorse or certify any of their content. 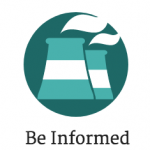 Confused but want to be informed? What’s all the jargon? BPA’s, ECD’s, NPE’s. 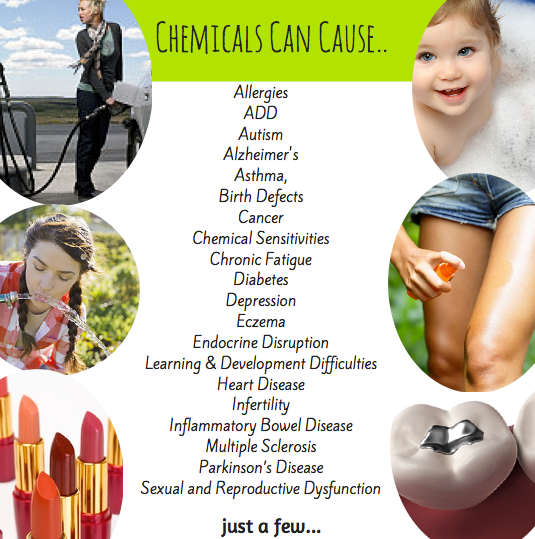 We share information we have found to be very useful: collection of chemicals/toxins and allergies that are invading our lives; industry guides to what chemicals can be found in particular industries; list of global organic/chemical free certification. Please use and abuse our tools to find information, events and all those safer alternatives for those everyday products and services you and your family use…food, cafe’s, restaurants, personal care, baby products, bedding, toilet paper, hand sanitisers, hairdressers, beauticians, pest control, pet care, dry cleaners, pool & spa services. 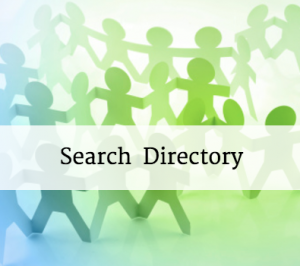 Go to our Directory and search on categories, keywords, location, chemical status and ‘free from‘ filters. 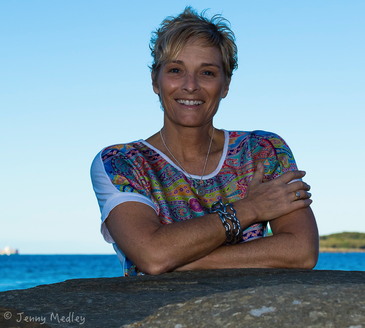 Looking for chemical free franchises, product lines, businesses for sale? Search our business opportunities drop down list. If you used one of our members’ services or products and want to brag about them, please give them a review on their listing at the bottom. What to add your chemical free business, click on ‘submit listing‘ under the logo top left, find your appropriate subscription with ‘3 months FREE‘ and list away. 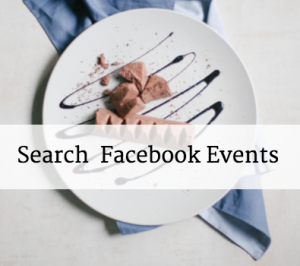 Locate those educational events, courses or e-learning opportunities using our Events Calendar & Facebook Events page. 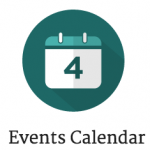 Running a chemical free orientated event, Click on ‘add event‘ below or go straight to the online form and fill it out for us. You will have to create a free account. We are young, watch us evolve and help us grow. 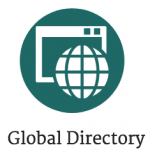 Our directory and calendar are FREE to use, however as we grow we recommend you SIGN UP and create your own DASHBOARD where you can save your favourite business to your FAVOURITES folder. It’s simple, clink on the SIGN UP enter email and password and you got yourself a dashboard. 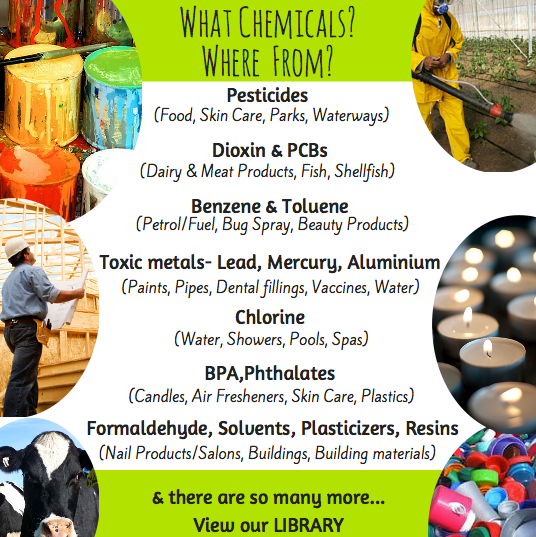 Come and join us at a Chemical Free Community event. 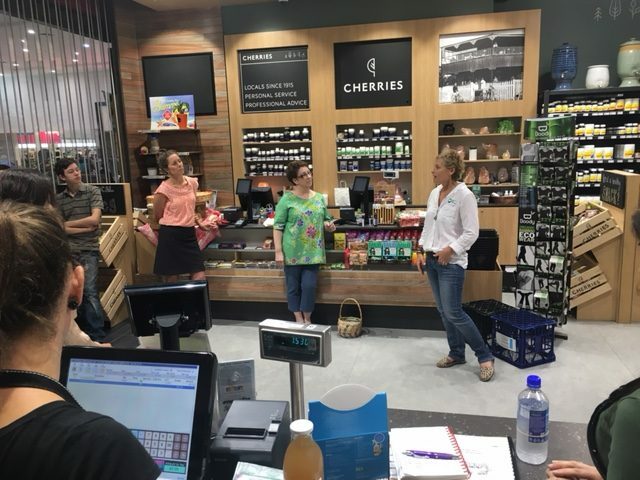 We run ‘First Steps to Chemical Free’ workshops and movie nights, often partnering up with our Ambassadors and Advisors to share the why’s and how’s of living a less toxic life. If you have a group, club, association or a business that holds events and you want to us provide an introduction into living in a ‘Chemical Free State of Mind‘ or run a movie night, give us a shout. 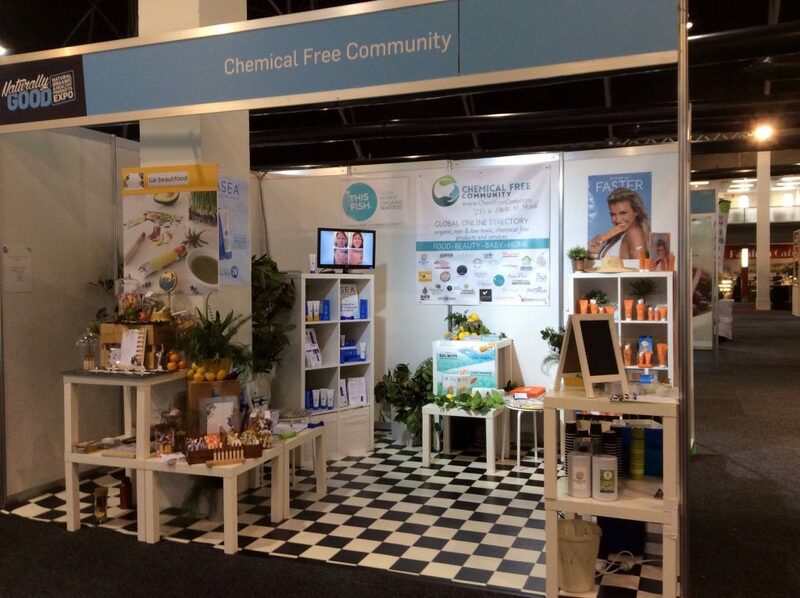 We would love you to host a Chemical Free Community event.